Peel the pumpkin and remove the seeds. Cut it into 1 cm slices and fry in the extra-virgin olive oil. Arrange on a plate. Using the same frying pan, fry the sliced garlic in the remaining oil, taking care not to brown the garlic. 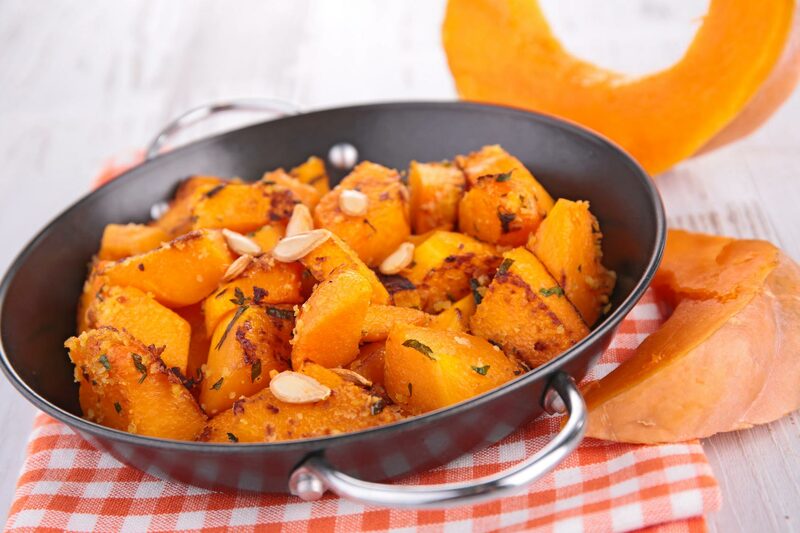 Return the fried pumpkin to the frying pan, add salt and pepper to taste. Mix the sugar into the vinegar and pour over the pumpkin, leaving the vinegar to evaporate over a high flame. 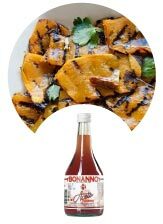 Place on a serving dish and scatter chopped up mint leaves over the pumpkin. Serve cold.